This stunning five star boat in Liverpool's Albert Dock has been styled to look the Titanic - the infamous and tragic cruise liner that was registered at the port of Liverpool. The Titanic houseboat has three bedrooms and can accommodate up to nine guests. It has stunning interiors with many features which allude to the original Titanic. There's also lots of modern comforts to help you enjoy your stay, including a 52 inch televison with Sky channels, a fully equipped kitchen, and leather sofas. There's no internet access provided on the boat but there's plenty of cafes with hotspots nearby. 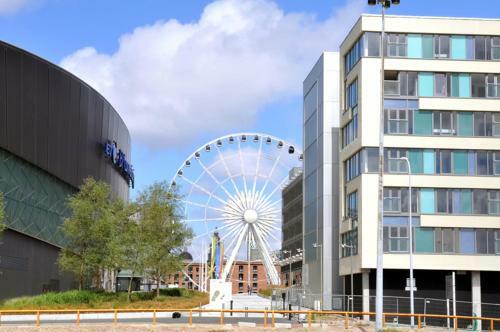 This is a unique and memorable way in which to enjoy exploring Liverpool. 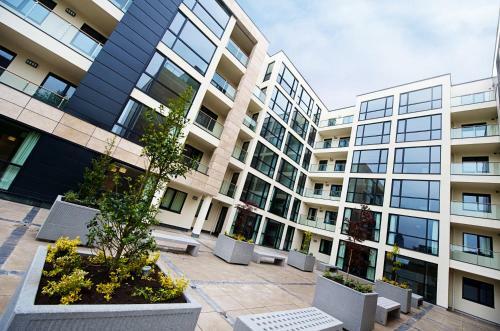 The Block is a collection of serviced apartments at Kings Dock in Keel Wharf, Liverpool. The one and two bedroom apartments are available in various configurations (twin, double, two double, one twin + one double) and can sleep 2-6 people.